The perfect gift idea for anyone who wants to give the gift of PROVEN quality CO®BON/Glaser ammunition. 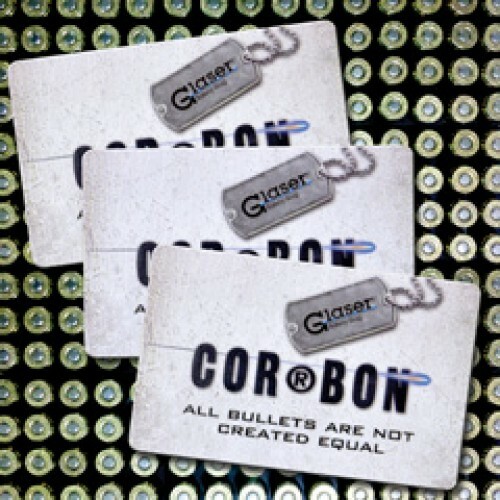 This certificate can be purchased in values of $25, $50, $100 and $250 (select value below) and is redeemable with the purchase of any COR®BON/Glaser Ammo. NOTE: COR®BON Gift certificates are redeemable through shopcorbon.com only.